Look, my computer never fared well with Ubuntu's development releases, but this is getting silly. Can someone explain me how images of my windows desktop leak into the live cd environment of the latest Ubuntu Beta 2? Are they stuck in the video memory? Or RAM? Or what? Do forgive the crappy quality, my camera batteries decided they don't want to witness such horrors. 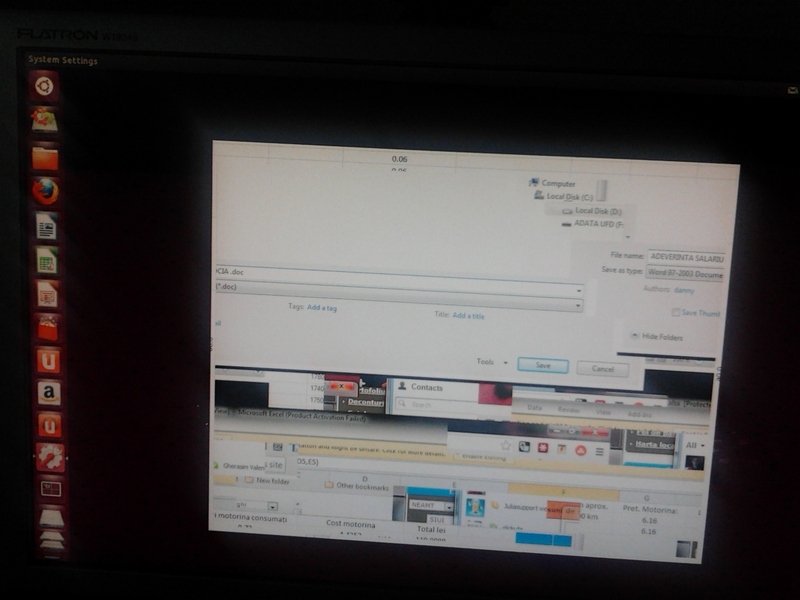 :D Everytime I tried to open a window, different parts of my previous Windowsing session appeared instead. And mind you, they were not even the last things on screen when I rebooted, no, no, some of those windows happened hours before. What the actual F? 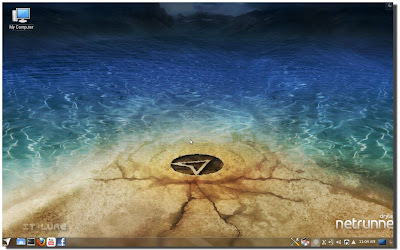 Distros, distros, distros... Glue a bunch of software together, add your favorite themes, name it "Frank OS" and that's it, you've got your own operating system. Obviously, I'm joking, I know it's quite a lot of effort that needs to be put into such a project. But, from a really high-up birds-eye view, they all can seem a bit... similar. Most of them are general purpose distros, aiming to please a large segment of users. Some focus on a smaller target, like audio artists, pre-school teachers or network administrators testing how penetration-prone are their setups. ...and then there is Blender-Boot, which is a whole OS wrapped around ONE application: the awesomely versatile Blender 3D content creation suite. The idea itself is enough to raise some eyebrows and gain a good amount of attention. But is it really necessary to have a separate OS for one purpose? Well, if you always want the latest version of Blender delivered to you hassle-free (e.g. compiling), then yes, Blender-boot is a good choice. 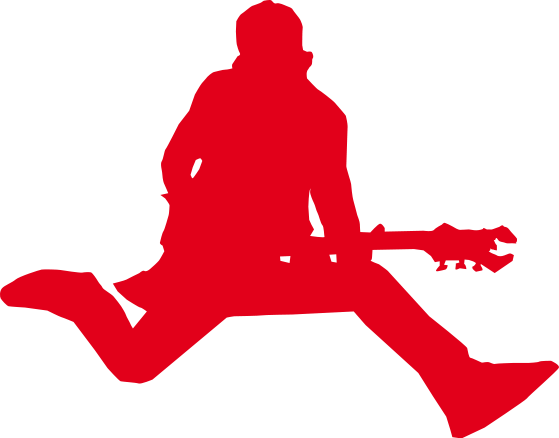 I think its main audience is formed of artists wanting to go open source and have little Linux experience. Just install it (which, being Ubuntu-based, is super easy) or ask someone else to do it and your computer will boot straight into the Blender suite, hence the name. Of course, puns are always a trait of Linux people, so this distro's developers couldn't refrain themselves from tapping into the other meaning of "boot". Thus, the logo and wallpapers revolve around a... shoe. 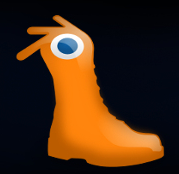 But it's not just any shoe, it's one that has the familiar Blender eye on top of it and is, of course, orange. 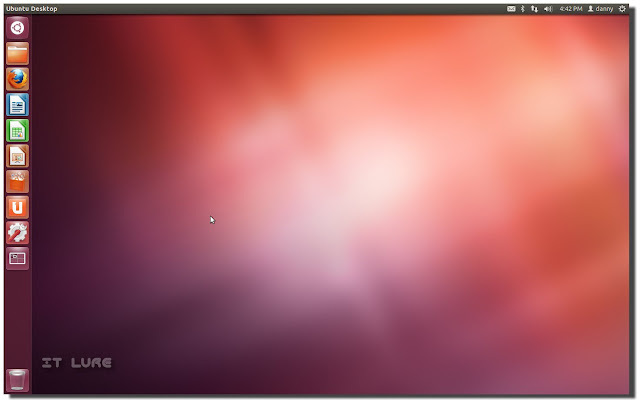 Distro Hoppin`: Ubuntu 12.04 LTS "Precise Pangolin"
Ooooh yes, it's that time of the year again, folks. It's time for the world to partition hard drives, create new virtual boxes, burn hundreds of CDs, format USB sticks and pillage every Windows OS they pass by. I've always loved the .04 Ubuntu releases more, not necessarily because they were better, but because they came with the spring, and I tend to like things more when it's warm outside. 2012 is a special year: the Precise Pangolin release will be supported for 5 years, on both desktops and servers, so if your business considered switching to Ubuntu, now is a great time to take that step. Also, it's cockchaffer year, a reason for massively increased joy levels and overall ADD manifestations in my cat. Obviously, I'm a tad more excited of the former event. UPDATE: Google Drive now comes with 15 GBs of free space (shared with Gmail and Picasa)! Your move, Dropbox! Well, not as drastically as some expected, but it's still enough to get Dropbox worried. So, 5 GB free with the possibility to upgrade to 25 GB for $2.49 a month! Yep, not even 3 dollars. Oh, and that's not all. Hear this: 100 GBs for only $4.99!! Dropbox offers the same amount of storage for $19.99! Ouch! For starters, the Google Drive client is NOT available on Linux (I'm not 100% sure... once my Drive is ready, I will clarify) (here's a quick workaround) , but only on Windows, OSX and Android. iPad and iPhone versions are undoubtedly coming soon. As I was part of the latest Dropbox beta testing program, I have 5.2 GBs at my disposal, out of which I currently use 43.8%. 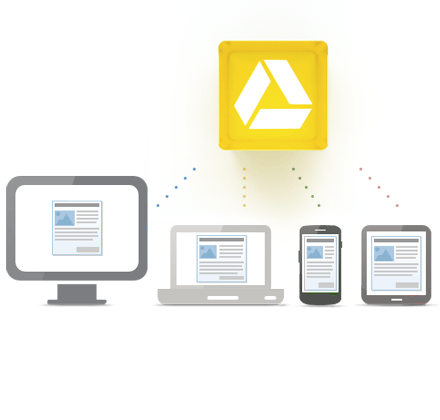 If things start to feel crowded, I'll definitely consider Google Drive. Until then, I'm pretty happy with the blue box. 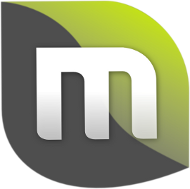 It works wonderfully across all platforms I access during the day and I love its features. Plus, I quite like it as a company too. Moreover, I'm sure that by the time I near the storage quota, the prices will drop significantly and I might not have to make the switch after all. While current Dropbox users are not likely to stop using it in favor of Google Drive, new ones will surely notice the latter rather than the former first, given Google's omnipresence on the Internet. Of course, many will simply sign up for both and get a hefty amount of space for free. Anyway, cloud storage for mass audiences will definitely be an interesting space to watch this year. Microsoft has also upped their offer with a whooping 7 GBs of free storage for new users, but they lack an Android and Linux clients, so their offer is of no interest to me. Also, there are full backup providers like Carbonite (less than $5/month - UNLIMITED storage) and SpiderOak ($10/month for 100 GBs) that seamlessly save your files, without you needing to manually move files to a certain folder. Here's the link to my first (of many *wink wink*) ever interview. The great Dmitry aka DarkDuck apparently ran out of cool people to interview and decided to get one from me. Heh. To the staaaars! Thank you, Dmitry! I shall not forget you when I'm famous!